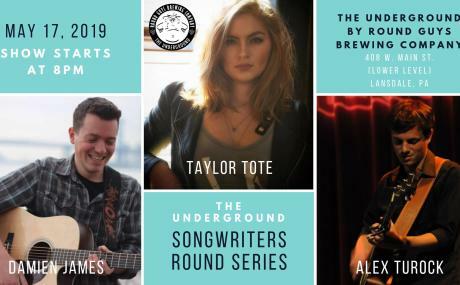 Come join us at The Underground for another installment of our Songwriters Round! Featured singer/songwriters this evening are Taylor Tote (New Jersey), Damien James and Alex Turock. This is a Nashville style songwriters round where the artists sing songs, tell stories and engage the audience for a night of wonderful memories. Doors open at 7pm. Show begins at 8pm.